Like some foreign dictator, the Republican in the White House will launch a planned attack on the free press today. But he’s been in an ongoing campaign against the truth since Day One. It’s alarming because presidents don’t act this way. Dictators do. And there’s evidence to suggest that the Republican president’s constant attacks on the news media have encouraged dictators in other countries to continue their repression of journalists. In a previous post, I laid out an idea to creatively undermine this pre-planned assault on the free press (see chart below). The main idea: Do the opposite of what the Republican president wants. That is: Express support for good journalism and great reporters without accepting the frame of his fake ceremony. Defeat him by celebrating the truthful, powerful stories that may take down this corrupt presidency. Deprive him of the power to focus attention on his messages. That’s one idea. But the general concept here is more important than any specific tactic. This is about framing, and our need to get a better grasp on how framing works in politics and the media. Framing is about reclaiming our power to decide what’s important. Framing is about making sure WE set the terms of the debate, using our language and our ideas. Conservatives have beaten progressives at this for decades. It’s time for a change. Back to today: Let today inspire an ongoing campaign to #ProtectTheTruth. We need a long-term strategy for positive persistence. Positive persistence beats negative resistance. And while words are important, action prevails. There’s a place for angry response and outrage. That’s only human. But we also need strategic action to make sure every passing day fuels positive action towards progress. We must avoid the mistake of the 2016 election, when many thought Trump’s outrageous antics would naturally bring him down. They didn’t. Subscribe. Whether it’s your local paper or a national publication, SUBSCRIBE! Show that you value truthful journalism and will pay for it. Become a supporter of public radio or an independent outlet like Mother Jones. Fund Victory. If we all gave 50 cents to candidates like Randy Bryce (@IronStache), Katie Hill (@KatieHill4CA), and Andrew Janze (@JanzforCongress)every time Trump tweeted, we’d have more than a #BlueWave2018. We’d have a tsunami! Fund victory! Pick a candidate in a tough race. Pledge 50 cents per tweet! Support CPJ: Journalists around the world live under daily threat from dictators, criminals, and corrupt regimes. The Committee to Protect Journalists has their back. Follow them, fund them, and help! Talk to People. Turn off the computer or phone and TALK to people — your friends, your family, your neighbors — about what’s happening in our country right now. Make sure they’re paying attention, and make sure they plan to vote in November! America’s tweeter-in-chief plans to attack the free press next week. He desperately needs your help to succeed. You can help him by repeating his words and lies. You can help him by focusing outraged attention on his antics. Or we can work together to redirect the energy, counteract rather than react, and reframe the conversation. Here’s a way: rather than argue against him directly or waste time refuting his attacks, let’s ignore his antics and make a positive, proactive argument. While he assails the free press, let’s use our voices to honor the essential work reporters are doing in this dangerous era. Let’s have a conversation about why the free press is more crucial than ever. Reporters are guardians of freedom. Their job is to pursue the truth. We may disagree with them sometimes. We may wish some of them would do a better job. But the press is a pillar of a free society. Democracy falls without it. That’s why authoritarian leaders always attack the press. They seek to deny and distract from the truth, and this requires undermining those who tell it. Corrupt regimes always seek to replace truth with lies that increase and preserve their power. The Digital Age makes this easier than ever. Information travels fast, but that’s a double-edged sword. It’s great when a true story travels the globe instantly and results in inspirational action. Yet we live in an age of weaponized information, where nefarious memes and false narratives of dubious origin can also travel far. These can become dangerous when repeated millions of times. As I wrote in the 2004 book Don’t Think of An Elephant, repetition strengthens the synapses in the neural circuits that people use to think. First, repetition strengthens the synapses in the brain’s circuitry. Second, “framing first” provides an advantage. Third, negating a frame by saying it’s “not” true activates and strengthens the frame. That’s just how our brains work. Unfortunately, many intelligent people — including Democrats and journalists — ignore the findings of the cognitive and brain sciences. They put their faith in the outdated idea of Enlightenment Reason, which dates back to the 1650s. As a result, they miss the often-implicit frames, metaphors and narratives that structure morally important truths. They wrongly believe that bare facts and logic alone win the moral debates. The same cannot be said of the professional troll armies prowling on the other side of our computer screens. A recent study of the strategies used by Russian and terrorist trolls online found that they have a strong grasp of basic brain science. So when the president attacks the press on Wednesday, don’t take the bait. Instead, focus on truth and its moral context. Truth is under attack. Let’s protect it, and express our appreciation for those brave journalists whose job is to spotlight it. Don’t use any of his terms, images, or hashtags. Ignore his antics — if you retweet it you can’t defeat it, and when you embed it you spread it. Deny him the virality he craves. Ignore his antics. Shift the frame to focus on powerful, truthful reporting. Excellent examples include Mother Jones’ heroic “The Russian Connection”series with its groundbreaking focus on the foreign ties that may bring down a presidency; Rachel Maddow’s steely-eyed focus on the Republican Party’s culpability in this mess and the need to hold them accountable; and Mark Hertsgaard’s fierce dedication to covering the climate crisis while exposing those who profit from it. And let’s not forget the amazing newspaper competition currently unfolding between the New York Times and the Washington Post — a race to do the best job at telling the most truth. Name the reporters, editors, and outlets — including state and local publications — doing important work that affects YOUR life. Link to their stories. Say why they matter. Say “thank you” to those who tell the truth for a living! This is about more than Twitter. This is about ideas and language in our politics, and who controls them. This about more than just one president — it’s about the Republican Party and authoritarians everywhere who seek to destroy the truth and attack the public good. It’s time to reclaim our power and frame the debate. To start, let’s disregard next week’s ceremonial attack on the press and #ProtectTheTruth instead. Donald Trump and the Republicans are trying to restrict American freedom and destroy the Internet as we know it. They want to hand control of a crucial public resource – the Internet – over to corporations. These corporations will then be able to restrict the flow of information, effectively censor voices of dissent, and charge outrageous prices for access to online services. This is an attack on American freedom, and it should alarm every citizen who cherishes the free flow of information in the digital age. We can’t allow corporations take control of our Internet. But stopping this nefarious scheme requires urgent action on this issue, most commonly known as Net Neutrality. I don’t like the term Net Neutrality because it obscures what’s really at stake: FREEDOM. Our freedom to access the information and resources we need to keep our democracy healthy is under threat. Yet, Republicans on the Federal Communications Commission – led by former Verizon lawyer Ajit Pai – seek to hand our Internet over to private corporations. But the Internet is a public resource that belongs to the People. That’s because the Internet was developed by our federal government in the 1960s and 1970s. The idea was to “build robust, fault-tolerant communication via computer networks.” The result was the Internet, which allows me to type these words on my laptop and share them with all of you immediately. The US government funded the research and technology to create the Internet. This means American taxpayers paid for it. So, if the Internet belongs to anyone, it should belong to Citizens, not corporate fat cats. The Internet belongs to us. But we have to fight for it right now, or we may lose it. There’s ample evidence that fake bots have flooded the Federal Communications Commission’s inbox with over a million fake comments supporting corporate control of the Internet. The corporations are working hard to take away your Internet freedom. It’s time to make sure the real voices of American citizens are heard on this matter! Internet freedom is especially important because our entire economy now depends on the Web. Online sales on shopping holidays like Black Friday are overtaking in-store sales. This means the private profit of corporations in this digital age now depend on the use of a public resource we created through our government decades ago. The Internet – like roads, bridges, ports, and telecommunication systems – is a publicly funded resource that makes all private profit possible. The private depends on the public! We must never forget this, and we must make a point of saying it – especially at a time when Republicans are trying to sign away our property to corporations. It’s time for us to make our voices heard. Please join me in standing up for American freedom and the public’s right to maintain fair control of a crucial public resource, the Internet. Please click on the link below to make your voice heard – and share this with your friend and family. Republicans are attacking our freedom and trying to destroy the Internet as we know it. We must stop them from giving control of our public Internet to corporations. The Internet was developed by the US government and paid for by American taxpayers. This publicly funded resource must remain fair, open and neutral to benefit the American people. All private profit depends on public resources – roads, bridges, ports, telecommunications, and the Internet. We must never hand public resources over to private corporations. The Internet is a public resource. Say it! Please make your voice heard! Ten months into Trump’s Presidency, Trump’s approval rating is historically low and members of his campaign are under indictment, yet the prospects for the Democratic Party appear bleak. At a time when we should be harnessing the energy of a grassroots movement to revitalize American democracy in 2018, Democrats are beset by infighting and chaos. Most of this is driven by disagreement over what, if anything, the party represents. The major rift is between bold progressives who want a new direction and the fellow Democrats they see as the Old Guard establishment wing of the party. The two sides mostly agree on about 98% of issues, but have serious differences on key points. One of the main sticking points is the role of corporations in our political system. Let’s look at the numbers. In 2016, there were about 4700 delegates to the Democratic Nominating Convention, including about 700 superdelegates, most them elected Democratic officeholders. Recently, DNC chair Tom Perez nominated a slate of 75 superdelegates, three of whom were corporate lobbyists. One was Harold Ickes, who worked in Bill Clinton’s White House and who has long been influential in the party. One was Joanne Dowdell, who ran as a Democrat for a New Hampshire State House seat in 2012 and is a party donor. Another was Manual Ortiz, who also lobbies for U.S. territories like Puerto Rico. Three out of 4700 votes is 0.06 percent of the votes, not even a round-off error. The dispute is a matter of principle, not numbers. Christine Pelosi, Nancy Pelosi’s daughter, has argued that there should be no corporate lobbyists at all appointed as superdelegates and that corporate lobbying should not be what the party is about. That matter of principle is the basis of the uproar over the Perez appointments. I agree on the matter of principle, though the practical effect is nil and certainly not worth a damaging split in the party. Especially since most of the superdelegate appointees are union officials and long-term party workers, loyalists, and donors whose work accords with such principles. I should also mention that the party is in dire financial straits. At a time when a strong Democratic Party is more necessary than ever, they can’t raise any money. This may explain the need to cozy up to three corporate lobbyists. Of course, by doing that, Democratic leaders increase tensions with progressives who want a politics completely free from corporate influence. Ready, set, civil war. Or, at least, that’s the unfortunate narrative emerging – a narrative Republicans are eager to cheer on. They enjoy watching us divide and conquer ourselves. It’s straight out of the Cambridge Analytica playbook. Stoke discord among Democrats and use our differences as weapons to defeat our overwhelmingly common goals. They know the absence of a strong Democratic Party will likely add up to seven more years of dominance by Donald J. Trump and his Republican Party. Will we fall for it? I hope not, but I only see one way to avoid it. It’s time for the Democratic Party to examine its soul and remember why it’s the only major political party that reflects the progressive idea of our nation – a government of, by, and for the People. It is also the only major party to accept the founding idea of our nation, that citizens care about their fellow citizens and work through the government to provide public resources for the benefit of all. Whether private lives or private enterprise, public resources from roads, bridges, airports, and sewers to public education and public health, to science and technology — computer science (thank NSF and DARPA) to satellite communication (thank NASA) to modern medicine (thank NIH). The private depends on public resources! Every Democrat knows this truth, and it is assumed by almost all Democratic legislation. Yet almost nobody says these truths out loud and defends them in public discourse. A short paragraph each, powerful truths, yet there is no Democratic message expressing these truths. These are among the deepest reasons to be a Democrat. But when you get down to the crucial details of everyday lives, there are thousands of reasons. Let’s hear them! We start right here, with one simple question: Why are you a Democrat? I want to hear what you think it means to be a progressive and a Democrat. Let’s engage in some Citizen Research and see what emerges. I can make some guesses to start, but I regularly hear from all corners of our country about new and important reasons — Democrats working for real human needs and against real human disasters due to Republicans. What are your reasons? I’m a Democrat because. . . I have been asked what hate speech is. It is not exactly hard to detect. Hate speech defames, belittles, or dehumanizes a class of people on the basis of certain inherent properties — typically race, ethnicity, gender, or religion. Salient exemplars — that is, using highly rare and very ugly individual examples that have been sensationalized by the media and taking them as applying to the whole class. Examples: Trump’s racist attacks on Latinos and Muslims, attempting to stereotype all of them and smear entire classes of people on the basis of a handful of individual cases. Extolling the false virtues of the opposite class, suggesting that the defamed class lacks those virtues. Example: The racist right falsely claims that whites are responsible for all advances in civilization. This deliberately covers up the enormous contributions and advances made by nonwhites in order to undermine their status as human beings. Metaphor based on fallacious understanding: “Whites are more evolved” — from a survey of racist right-wing members. Note the mistaken understanding of evolution. The statement suggests that non-whites are lower than whites on an evolutionary scale, as if they were animals. Perhaps the most dangerous form of hate speech comes from the government itself when the President excuses racist violence and supports the oppressive use of governmental force — large, organized crowds of armed demonstrators, police who target minorities, ICE trapping undocumented immigrants for deportation, discriminatory laws that intimidate minorities from voting, etc. Hate speech these days is not just speech by an individual. It has become an industry for the racist right — organized, purposely provocative, a recruiting tool, and a show of power aiming at greater power. Mass marketed hate speech is not “mere speech” by an individual. It is actually physical in nature because all ideas are physically constituted by neural circuitry in our brains. When you are repeatedly told by those protected by the President and his government that you are a lesser being and are hated, it can have a crippling effect, physically, on your brain, mind, and heart. Freedom in a free society is freedom for all. We are not free to prevent others from being free. Hate speech can affect those who are repeated objects of hate with a crippling toxic stress and a sense of distrust and fear that can keep those hated from living full and free lives. Mass-market hate stands resolutely in the path of life, liberty, and the pursuit of happiness for all Americans. Institutions whose role is to promote freedom of speech, thought, and action need to rebut hate speech, rather than give the honor of official invitations to purveyors of mass market hate who bring with them a mass of violence-prone supporters to exploit and dishonor widely publicized “free speech” events. Freedom in a free society is supposed to be for all. Therefore, freedom rules out imposing on the freedom of others. You are free to walk down the street, but not to keep others from doing so. Like violence, hate speech can also be a physical imposition on the freedom of others. That is because language has a psychological effect imposed physically — on the neural system, with long-term crippling effects. All thought is carried out by neural circuitry — it does not float in air. Language neurally activates thought. Language can thus change brains, both for the better and the worse. Hate speech changes the brains of those hated for the worse, creating toxic stress, fear and distrust — all physical, all in one’s neural circuitry active every day. This internal harm can be even more severe than an attack with a fist. It imposes on the freedom to think and therefore act free of fear, threats, and distrust. It imposes on one’s ability to think and act like a fully free citizen for a long time. That’s why hate speech imposes on the freedom of those targeted by the hate. Since being free in a free society requires not imposing on the freedom of others, hate speech does not fall under the category of free speech. Hate speech can also change the brains of those with mild prejudice, moving it towards hate and threatening action. When hate is physically in your brain, then you think hate and feel hate, you are moved to act to carry out what you physically, in your neural system, think and feel. That is why hate speech in not “mere” speech. And since it imposes on the freedom of others, it is not an instance of freedom. The long–term, often crippling physical effects of hate speech on the neural systems of those hated does not have status in law, since our neural systems do not have status in our legal system — at least not yet. This is a gap between the law and the truth. We know from neuroscience that most thought is unconscious, carried out by neural circuitry. In Metaphors We Live By, Mark Johnson and I showed that much of that unconscious thought is metaphorical, and further, that we often live our lives according to those metaphors. A simple example, we understand time as a money-like resource, seen in expressions like saving time, wasting time, budgeting our time, and putting some time aside to see friends. Many of us budget our time, worry about wasting time, and try to save time. We not only take the metaphors as real but we act according to the metaphors — and in fact much our social and business reality is structured by those metaphors, which reinforces their effect. Given human brains, living by metaphor is normal and probably unavoidable. Louis XIV, King of France, was famous for saying, L’état, c’est moi — I am the state — a metaphor that a king could live by, or at least try to. Roger Cohen, on May 19, 2017, in a NY Times op-ed titled L’état, c’est Trump, pointed out ways in which Trump has acted as if he had absolute power, like a despot. True. But there is a lot more to say. When John Lengacher and I closely analyzed language coming out of the White House, it became clear that Trump has internalized and has been living by a central metaphor: THE PRESIDENT IS THE NATION. The American people swear allegiance, that is, support to their nation. Under the metaphor, the phrase “the American people” comes to mean the supporters of the President. Thus, “The American people want …” means Trump supporters want…” “The American People love the President” means the President’s supporters love the President. National security becomes the security of the President. The security of the President can be threatened in many ways. He could be shown by the Mueller investigation to be a criminal, doing money-laundering and associated racketeering with the Russian mafia and American mafia figures. He or his closest associates and family members could be shown by the Mueller investigation to have colluded with the Russians in their attack on the 2016 election. The Mueller investigation thus becomes a threat to the President’s security, and an enemy attack to be countered and ended. That his why he has attacked Attorney General Jeff Sessions for recusing himself, which led to the appointment of Mueller. The President sees the Attorney General as having the job of protecting his security. Since revelations by the press also endanger the President’s security, the President sees the press as his enemy and, via this metaphor, calls the press the enemy of the American people. The President’s tax returns could show Russian involvement or money laundering in his business, and so the revealing of his tax returns would be a threat to his security. The legitimacy of his election could be questioned, for example, by the 3.5 million vote majority of Hillary showing that he is a minority president. The facts of Hillary’s majority must therefore be shown to false, say, by show that the votes were fraudulent. Trust in the President could be undermined by revelations of underhanded immoral or illegal things he is doing. The Emoluments Clause of the Constitution makes it crime to profit from the Presidency. Therefore, showing that the President purposely acts so as to profit from the Presidency is unconstitutional and a possible basis for impeachment. “Leaks.” The “leak” frame is about national security leaks: truths that could harm national security is revealed to the public or enemies of the nation. Under the metaphor, “leaks” become truths that could harm the security of the President. Since national security leaks are crimes against the nation — unpatriotic and un-American, so under the metaphor, “leaks” threatening Presidential security become crimes against the nation that are unpatriotic and un-American, matters for the Justice Department and the FBI to look into and for the Justice Department to prosecute. This explains the much-publicized call that then-communications director Anthony Scaramucci placed to Ryan Lizza of the New Yorker, which Lizza recorded and later published. Scaramucci had gone on a rampage to stop leaks. Lizza had tweeted that “ a senior White House official” informed him of an important meeting at the White House with Scaramucci, the President, Sean Hannity, and others. Scaramucci called Lizza and demanded that Lizza name his source. Lizza refused. Scaramucci then said, “You’re an American citizen, this is a major catastrophe for the American country. So I’m asking you as an American patriot to give me a sense of who leaked it.” This makes sense only if you assume that the “leak” was a breach of national security. That follows from the metaphor. The President and the conservative members of the Republican Party share what I have called Strict Father Morality and all the policy positions that follow from that view of what is right and wrong. But the Republican Party does not believe in the President-as-the-Nation metaphor, since it elects legislators and the Legislative branch is a check within the nation on the authority of the President. This created a potential threat to the security of the President and a tension between Reince Preibus and both the President and Anthony Scaramucci. The President depends on the Republican Party both to carry out the policies he shares with conservative Republicans. But, since they failed on health care, his rationale for keeping Preibus was no longer operative and Preibus had to go. He also depends on the Republican Party to help maintain his security. But in the case of Jeff Sessions’ recusal, Republicans support Sessions, who is a former Republican senator and one of their own. From all of these considerations, it seems clear that the President is living by the metaphor, with enormous repercussions for our nation and the world. We see this in his speeches, his tweets, and his official actions. It also explains the tension with Reince Preibus and why Preibus had to be replaced. How Can Progressives Counter The Metaphor and Its Effect. As one of the discoverers and principal analysts of conceptual metaphors and their power, I have an obligation to report how this metaphor works and the effects it has. As an American citizen, I have the obligation to make these findings public so that it can be countered. We need to reveal the existence of the metaphor. That is why I have written this paper, and why the paper has to be sent out far and wide and its contents spread both by the mainstream media and social media. Pass this paper on to both the mainstream media outlets and to your friends on social media. On the environment, global warming, weather disaster, and sea level rise. Cite examples. On the rights of transgender people, 15,000 of whom are serving in the military. On gun violence and the need to keep guns out of the hands of the mentally ill and criminals. and on and on, go down the list. In example after example, the job of those in the administration is to serve the nation first in all cases, rather than serving the president. The message must be constant in mainstream and social media every day, in every part of the country. And it has to become part of electoral campaigns in red districts. Patriotism is about the nation. (3) Since the metaphor is inconsistent with the Republican role in Congress, press Republicans to choose to serve the nation over the President. We teach young people that education will set them free. If you get an education, the doors of opportunity will open wide. The world will be your oyster and your life will be better. Yet for millions of Americans, the opposite is true. For them, education has not been the key to a brighter future. Instead, it’s burdened them with crushing, lifelong debt. And unlike the debt accrued by Wall Street fat cats and people like Donald Trump – who declared bankruptcy four times – ordinary Americans can’t just declare bankruptcy to get out from under the debt. The debt will follow them for life because the debt collector is none other than the US government. What’s worse is the fact that the government farms out the job of collecting student debt to private corporations like Navient. According to an investigation by Reuters, Navient appears to have cheated many poor student debt holders. It did this by failing to inform them of income-based repayment programs that could have kept them from defaulting. Instead, Navient herded these eligible Americans into other programs to drive up the interest costs and fees. These unscrupulous practices have added $4 billion to the amount of student debt owed by Americans, according to the Consumer Financial Protection Bureau (CFPB). Wait a minute here. Navient was hired by the federal government to collect student debt from American citizens. American democracy is government “of the people, by the people, and for the people.” Shouldn’t Navient, as a servant of the government, have a moral responsibility to act in the best interests of the American people? Holders of student debt are American citizens who are trying to improve their lives and improve our country. Shouldn’t we do better by them? Instead, the student debt crisis is crushing Americans. It keeps them from buying homes, getting married, and living fulfilled lives. It directly robs them of their freedom, their opportunity, and their pursuit of happiness. And this is not just a problem for young people. Student debt hurts entire families. In fact, the US government is currently garnishing the Social Security checks of 173,000 Americans. Companies like Navient even go after the disability checks of people in wheelchairs. Our nation is long overdue for a conversation about the student debt crisis. It is a direct threat to the freedom and opportunity of a whole generation of young Americans. It is also completely unfair, because for decades public education in the United States was basically free. Now, the rules have changed. For at least 44 million Americans, the college diploma came with the ball and chain of serious debt. As we might expect, Donald Trump is doing everything he can to make the problem worse. In fact, his Administration is considering handing over ALL student debt accounts to the unscrupulous Navient! The Democrats haven’t done much better, offering tepid proposals to help “refinance” outrageously structured loans. They treat this crushing debt like a business deal rather than the fundamental issue of freedom, fairness, and opportunity that it is. This is the kind of issue that progressives should aim to solve. I think it’s time to end the student debt crisis once and for all. Do you agree? How has student debt affected your life or the life of someone you know? What do you think should be done about it? Please leave your answers in the comments – and let’s get this conversation started. 2) Why do Republicans hate the Affordable Care Act, and why are they so transparently acting to give wealthy people a tax break by making healthcare unaffordable? Here is the short answer: All politics is moral. Supporting Trump – and gutting public healthcare resources in order to provide tax cuts for the wealthy – fits perfectly within the strict conservative moral worldview, which is hierarchical in nature. Voters don’t vote their self-interest. They vote their values. The longer answer requires a deeper explanation. Let’s start with the place where all ideas and questions originate – the brain. Most thought (as much as 98% by some accounts) is unconscious. It is carried out by neural circuitry in our brains. We have no conscious access to this circuitry, but it’s there. This is basic neuroscience. When it comes to politics, progressives and conservatives essentially have different brains. The unconscious beliefs conditioned in their brains are nearly exact opposites. 1) In Lincoln’s words, the American government should be a government of, by, and for the people. 2) Citizens care about other citizens, and work through their government to provide public resources for all — resources required for the wellbeing and freedom of all. These imply just about all of progressive policies. With a government of the people, those in the government are not separated from those outside. There is two way communication and transparency, and response to the people’s concerns. With a government by the people, those in the government have the same basic experiences as those outside. The government therefore responds with empathy to the basic needs of its citizens. A government for the people cares for its citizens and gives necessary help as a matter of course. There is no democracy without care. The second principle – the need for public resources – has been essential to American democracy from the start. From the beginning, the Private Depended on Public Resources. Public resources, including roads and bridges along with public education, a national bank, a patent office, courts for business cases, interstate commerce support, and the criminal justice system are necessary to have private enterprise. These public resources include protection — not just a military and police, but protection from harm by unscrupulous corporations either by poisoning products, the air, water, etc. or by unscrupulous banks, mortgage holders, and investors. These protections are carried out by “regulations”: protective laws and agencies. Over time those resources have included sewers, water and electricity, research universities and research support, and technologies like computers and satellite phones. Private enterprise and private life utterly depend on public resources. These public resources provide freedom: freedom to start and run a business, and freedom in private life. You’re not free if you are not educated, because your possibilities in life are limited. You’re not free if you have cancer and no health insurance. You’re not free if you have no income — or not enough for basic needs. And if you work for a large company, you may not be free without a union. Unions free you from corporate servitude. They free you to have a living wage, safety on the job, regular working hours, a pension, health benefits, dignity. If you’re a progressive, you most likely agree with these ideas. If you’re a conservative, you may be apoplectic by now. It should be clear that most progressive policies follow from these basic, largely implicit and unconscious, principles. When we state them consciously and overtly, we can see where questions (1) and (2) come from. Why should Trump voters support him when his government does not supply necessary care, when it can hurt them deeply, threatening their health and possibly their lives by, say, taking away their health care? Why should Republicans, who are Americans after all, hate the Affordable Care Act, which was for the people, and which supplies care of the most essential kind for tens of millions of Americans? From a progressive point a view, questions (1) and (2) are mysterious, especially when you ask them together. What do they have to do with each other — support for a Trump who harms them and hate for government care? Everyone likes to think of himself or herself as a good person. That means that your moral system is a major part of your identity. To vote against your moral identity would be to reject your self. What Are Conservative Moral Values? In my 1996 book, Moral Politics, I examined how political values tend to arise from the fact that we are all first governed in our families. The way that your ideal family is governed is a model for the ideal form of government. This is often a matter of how your real family is governed, though some people rebel and adopt an opposite ideal. Conservative moral values arise from what I call the Strict Father Family. In this family model, father knows best. He decides right and wrong. He has the ultimate authority to make sure his children and his spouse do what he says, because what he says is right. Many conservative spouses accept this worldview, uphold the father’s authority, and are strict in those realms of family life that they control. In this moral worldview, it is his moral duty to punish his children painfully when they disobey. Harsh punishment is necessary to ensure that they will obey him (do what is right) and not just do what feels good. Through physical discipline they are supposed to become disciplined, internally strong, and able to prosper in the external world. What if they don’t prosper? That means they are not disciplined, and therefore cannot be moral, and so deserve their poverty. In this conservative view, the poor are seen as lazy and undeserving while the rich deserve their wealth. Responsibility is thus taken to be personal responsibility, not social responsibility. What you become is only up to you, not society. You are responsible for yourself, not for others. The strict father logic extends further. The basic idea is that authority is justified by morality (the strict father version), and that, in a world ordered by nature, there should be (and traditionally has been) a moral hierarchy in which those who have traditionally dominated should dominate. Why do conservatives love Trump (who harms them) and hate healthcare (which helps them)? It makes more sense when you consider the conservative moral hierarcy. On the whole, conservative policies flow from the Strict Father worldview and this hierarchy. Trump is an extreme case (he wants to be the ultimate strict father), though very much in line with conservative policies of the Republican party. Most Trump supporters have Strict Father morality. It determines their sense of right and wrong. They see Trump as bringing America back to their values in a powerful way, making their values respectable and in line with the way the country is being run. Trump’s presidency has given them self-respect. Their self-respect is more important than the details of his policies, even if some of those policies hurt them. On the whole, they like the way he has restructured the government and what he is doing throughout the government. Strict Father morality insists on a particular notion of self-responsibility. Being taken care of by “the government” is seen as immoral because it gives the government an authority above strict father principles. The care of the Affordable Care Act in itself violated the moral sense and the very identity of conservatives – even those who benefit greatly from it. Moreover, the Affordable Care Act attempted to help people lower on the conservative Moral Hierarchy: the poor, African-Americans and other minorities, women, and so on. The Mandate to buy insurance went directly against self-responsibility overall, giving Americans responsibility for their fellow Americans. It also went against the laissez-faire market ideology because it put constraints on insurance companies. And why do conservatives love tax breaks for the rich? Because, in the Conservative Moral Hierarchy, the rich are better than the poor. The poor deserve their poverty. The rich deserve their wealth. Conservative hatred of the Affordable Care Act makes sense when you understand the mechanics of their moral worldview. These two questions provided an opportunity to write about moral bases of progressive and conservative thought and how they manifest in our politics. At a time when the country is tearing itself apart, when progressives and conservatives each see the other as immoral and un-American, and as attacking what is right, we must begin to understand why this is happening. We won’t be able to address the problem until we do. For further reading, please read A Minority President: Why the Polls Failed, and What the Majority Can Do. During Watergate, Richard Nixon famously said, “I am not a crook.” And, immediately, Americans coast-to-coast thought of him as a crook. This incident inspired my book title Don’t Think of an Elephant!” What does the title make you think of? Why does negating an idea so often have the opposite of the effect negation is assumed to have? My late colleague, Charles Fillmore, the great linguist who discovered frame semantics, observed that every word is cognitively defined (unconsciously) in terms of a conceptual frame. Frames are structures of ideas. Ideas are carried out in the brain by neural circuitry. When a word like “crook” activates a frame, it is activating in the brain a neural circuit characterizing the Crook Frame, through which we understand what a crook is. Every time a neural circuit is activated, its synapses get stronger. Negation in natural language works neurally by neural inhibition – neurotransmitters that have the effect of weakening (but not eliminating) the strength of neural synapses. Karen Handel is an archconservative running in the sixth district of Georgia against Jon Osoff, a progressive who is young, intelligent, articulate, and empathetic. Osoff, asked in the debate about the minimum wage, shifted the frame away from immediate numbers that could approach $15 an hour over a reasonable period of time so that small businesses would have time to adjust. He said that he believed that any American who works a 40-hour-a-week job deserves a livable wage. In short, if you work a full week on a job, your wages should be enough for you to live on — even if only at a barely livable level. This was an important frame shift via words: “minimum” to “livable,” getting at the real issue. She thus evoked the concept of a livable wage, focusing on the idea of a livable wage and thus calling attention to and strengthening the Livable Wage Frame — exactly what she opposes. And she really does oppose it. Handel’s comment has gone viral, as it should. The election will show whether Ossoff won handily — or Handely, that is, with Handel’s help. Donald Trump knows the power of branding and actually makes huge profits by selling the use of his name. But the power of naming and branding can be a double-edged sword: when a president creates and perpetuates real human disasters, we can truthfully attach his name to them and allow well-earned disaster branding to spread naturally. Mr. Trump uses the word “disaster” metaphorically for policies and practices he doesn’t like. But there are real, literal disasters in the world: huge fires, devastating, floods, deadly storms, major droughts — disasters caused systemically by the heating of the earth’s atmosphere and its effects in the global weather system. The Paris Accords are a worldwide, scientifically-governed effort to reverse the heating of earth’s atmosphere and so to reverse its literal disastrous effects — effects that kill, can start wars, and cost trillions. When President Trump pulled America out of that worldwide effort, he showed that politics can have deadly systemic effects as well, like significantly slowing efforts to reverse these effects and allowing real climate disasters to get worse. Political and corporate leaders in America — governors, mayors, CEOs — have pledged to act as if the United States were still part of the world community effort of the Paris Accords. There are substantive things they can do collectively, and they deserve praise for their moral courage and good sense to go on in the face of the powerful opposition of the Trump Administration. But we need not feel powerless in the face of the Trump government. The citizens of the United States have a power beyond the ballot box: the power of naming, and of disaster branding. Acting together, we can give a brand name to all those major fires, storms, floods, and droughts perpetuated and caused by Mr. Trump’s actions against the worldwide effort to end those disasters. Name the major disasters after the person most responsible for perpetuating and causing new ones in the future. When sea level rise floods Florida, or when atmospheric heating produces massive evaporation over the Pacific that blows north and east resulting in huge floods throughout the Midwest, name them Trump flood disasters. When continued atmospheric heating systemically leads to massive fires in Texas, name them Trump fire disasters. When the heating of the Gulf of Mexico above historic norms leads to extra strong hurricanes, name them Trump hurricanes and name their effects Trump devastation. When the systemic effects of unusual atmospheric heating lead to a drought, with water shortages and agricultural loss, name it a Trump drought. We are not accustomed to using the power that millions of ordinary people have to name what is harming them and their planet and the futures of their children and grandchildren. But the time has come to use that power. Just say it. If such Trump disaster branding becomes viral, it will illustrate the seriousness of the Trump’s Administration’s opposition to addressing the devastation caused by the heating of the earth’s atmosphere. Environmental activists have struggled to convince the public of the urgency of global warming disasters. But by withdrawing from the Paris Accords, Mr. Trump has created such a deadly situation that an unusual measure is called for. We must name the person most responsible. It’s time for disaster branding — associating real disasters that Trump is responsible for perpetuating or creating with the Trump brand. All that is necessary is speech — free speech guaranteed by the Constitution. We don’t have to march in protest, or engage in civil disobedience, or do anything the least bit violent. You just have to say the words. There is power in naming. Normally I would never post a link to a story in Reason, a right-wing magazine. But I consider this particular story a tribute to the power of your voices and your actions. The writer of this piece is upset that we are reframing regulations as protections. He’s upset because he even sees regulations being framed as protections in the pages of the newspapers. He attributes this to the work we have done to raise awareness among journalists, elected officials, and our fellow citizens that, from the Public viewpoint, regulations are protections. And most regulations come into existence to protect the public from harm by irresponsible or unscrupulous corporations. Specifically, the author references an essay I posted in January — aptly titled “Regulations Are Protections.” He does a great job of repeating all of our arguments in an effort to negate them. In other words, he’s saying: Don’t think of protections! Please read the piece, then come back and leave a comment on Facebook or Twitter. I want to know what other ideas you think need reframing from the Public viewpoint. We have lots of important work to do! The enormous role played by science — especially government-sponsored science — in our everyday lives is barely appreciated. Start with modern medicine. We, the public, paid for it through the National Institutes of Health (NIH) and research universities where the medical researchers, surgeons, doctors and nurses were trained, and where tools like magnetic resonance imaging (MRI) developed. Modern drugs were also developed through basic research sponsored by NIH. Modern medicine is the dividend of our investment over decades in medical science. Next, computers. Computer science didn’t just appear. It was developed through grants from National Science Foundation (NSF) and Defense Advanced Research Project Agency (DARP). The Internet was developed by the Defense Department. It was originally called the Arpanet. Satellites were developed through NASA, the National Oceanic and Atmospheric Administration (NOAA), and the Defense Department, with vast amount of new science: rocket fuels, physics, new materials for rocket shells, advances in radio communication, and aerial photography. Cell phones and GPS systems depend on a system of satellites run by the Defense Department, with four satellites accessible from any point on earth, electromagnetic waves traveling at the speed of light and requiring the physics of relativity, and switching equipment able to receive and pass on signals within nanoseconds — billionths of a second. A millionth of a second off and your cellphone call is hundreds of miles off. Cellphones are required by business all over the world. American science is supporting not just personal communication but the economy of the world! And then there is the Environmental Protection Agency (EPA): No more ozone hole. No more acid rain. The air in Los Angeles is very much cleaner than it used to be. The EPA’s information is valuable beyond measure. It has scientifically measured and tracked lead in the water — not just in Flint, but in many cities. It has measured mercury levels in the oceans and in fish. It has alerted us to the effects of global heating, effects that arise from the systemic complexities of the global ecology. Effects like droughts, floods, monster storms, and extreme temperatures. It has monitored poisons in our air and water put there by corporations that have been irresponsible, greedy, and just plain inefficient and careless. Those poisons threaten our food supply because they kill bees that are responsible for 1/3 of our food supply. Mercury in our oceans makes many fish dangerous to eat. EPA regulations issued and, until recently, enforced, are all that affords us protections from man-made poisons. Every regulation eliminated is a major loss of protections for the public. The administration’s plan for eliminating regulations would wipe out most protections from poisons and other threats. The Defense Department has issued a report that cites global heating via the use of oil, gas, and coal as a major national security threat. Why? Droughts, and oil, and rising seas start wars. Global heating is matter of life and death in all sorts of ways. It is the moral crisis of our age. Reversing it requires science more than ever! The positive effects of science on our lives are everywhere. And the needs for more and more responsible science are also everywhere. And how it has made possible so much of contemporary American life. Then march for science — because it is under political threat like never before. The net has been drawing closer around Trump’s Russian connections. His unwavering support for America’s major enemy has raised a question: Is Treason the Reason? The Tax Return issue has become a treason issue. The tax returns could show if Trump is deeply in debt to Russians or if he is involved in illegal financial activity. He might clear suspicions by releasing the returns. The longer he refuses to do so, the greater the suspicion gets. Jeff Sessions’ recusal made Trump furious because it meant that Sessions could no longer protect him from an independent Justice Department investigation, if there were to be one. If Sessions is forced to resign, the net gets that much tighter. Of course, in addition to releasing the tax returns, Trump should support a full and independent investigation to clear up all questions about his Russia contacts. In the midst of this, Trump created a distraction: accusing Obama of wiretapping the Trump Tower, with no evidence. Faced with the biggest scandal in American history – presidential treason – Trump, with a tweet, accuses Obama of a scandal bigger than Watergate. Trump’s tweets are strategic. I analyzed the tweets on NPR’s On the Media, and a diagram has been shared widely on social media and also appeared in the Washington Post. Trump’s tweet is a doozy. It is an example of all four of Trump’s strategies. Pre-emptive Framing: He frames first. He creates a new presidential scandal – Obama’s wiretapping — an accusation without evidence, and with all evidence against it. Deflection: He puts the onus on his squeaky-clean predecessor. Diversion: The press bit and the diversion worked. It generated headlines questioning whether Obama, rather than Trump, had committed wrongdoing. The diversion worked, at least temporarily. Trial Balloon: Will the public accept it, or listen to a discussion of it long enough to distract the press and the public from the treason issue? Pretty effective tweet. But it gets more effective. It put the press and those from the Obama administration in the position of denying the accusation — of repeating the accusation by questioning it and negating it — like saying Obama is not a crook. The more the press discusses it, the more Obama is associated with the idea of wiretapping Trump, thus strengthening Trump’s claim in the minds of the public by denying the claim, or asking for evidence of the claim. Meanwhile, Trump’s minions are associating Obama with Watergate by repeating “What did he know and when did he know it?” This question is what brought Nixon down. They can keep this up for a long time. And worse: This is not just a diversion from the treason issue. It’s also a diversion from what Trump’s cabinet, with the help of Paul Ryan, is doing under the cover of the diversion: denying healthcare to millions, taking away public protections we have all depended on by defunding the EPA, allowing drugs to go on the market without being tested for safety and efficacy, taking away protections from investors, and on and on. The wiretap tweet was not crazy or manic – it was strategic. And when the press treats tweets as “breaking news” it just plays out the Trump strategy. Journalists are bravely standing up to Trump’s attacks on the free press, as they should. Yet one way in which they’re expressing their solidarity and resistance shows how little most journalists know about political framing and messaging. Case in point: Trump has labeled journalists as “enemies.” So, journalists have responded by labeling themselves “#NotTheEnemy.” This hashtag is currently trending on Twitter, which is unfortunate. Adopting this slogan is a big mistake that helps Trump. Anyone who has read my books or taken my classes at Berkeley will immediately understand why. For those new to political framing and messaging, I’ll explain briefly here. Quick: Don’t think of an elephant! Now, what do you see? The bulkiness, the grayness, the trunkiness of an elephant. You can’t block the picture – the frame – from being accessed by your unconscious mind. As a professor in the cognitive and brain sciences, this is the first lesson in framing I have given my students for decades. It’s also the title of my book on the science of framing political debates. The key lesson: when we negate a frame, we evoke the frame. When President Richard Nixon addressed the country during Watergate and used the phrase “I am not a crook,” he coupled his image with that of a crook. He established what he was denying by repeating his opponents’ message. This illustrates a key principle of framing: avoid the language of the attacker because it evokes their frame and helps make their case. Why? Because, in order to negate a frame, you have to activate it. Frames, like all other ideas, are constituted by neural circuitry in the brain. Every time a circuit is activated, its synapses get stronger. When you negate a frame, you help the other side. Avoid repeating the charges! Instead, use your own words and values to reframe the conversation. When journalists protest that they are “Not The Enemy,” they should remember how well “I am not a crook” worked for Nixon. The important frame here is Truth. Donald Trump despises journalists because the duty of a good journalist is to tell the truth and inform the public. Trump doesn’t like the truth – or an informed public – because the success of his anti-democratic agenda depends on lies and distractions. This is why he has labeled journalists as “enemies.” Because Trump is an enemy of truth, and you can’t have democracy without truth. Journalists are the courageous people we trust to #ProtectTheTruth. 2 – Know the difference between framing and propaganda: Frames are mental structures used in thought; every thought uses frames. Every word in every language is defined relative to a mental structure — a frame. Frames, in themselves, are unavoidable and neutral. Honest framing is the use of frames you believe and that are used to express truths. Propaganda expresses lies that propagandists know are lies for the sake of political or social advantage. 3 – Hold Republicans accountable. Trump is dominating the media, partly to establish his authority, but mainly to divert attention and provide cover to Republican leaders. Keep focused on Republican actions. Minimize publicizing Trump — his image, his name, his tweets. 4 – Focus attention on substance, not sideshows. Trump’s attacks on freedom, democracy, and the innocent matter more than his tweets. Positively and strongly reframe his pre-emptive framing (see tweet diagram). Freedom and Opportunity: the private depends on public resources, both for private enterprise and private life. For example, if you’re not educated, you’re not free. If you have no health care, you’re not free. If you’re impoverished, you lack opportunity. 6 – Be careful not to spread fake news. Check it out, on the “big four” non-partisan political fact-checkers—Politifact, Factcheck.org, the Washington Post’s Fact Checker, and Snopes.com. Subscribe to real news! 8 – Remember: We’re the POWERFUL American Majority. No more helpless/hopeless talk. Anger, fear and cynicism benefit Trump’s GOP. Remember: Don’t think of an elephant! Don’t use Republican language, or repeat their positions, even to negate them. Frame using ideas you believe and real facts that are contextualized and morally framed. Avoid isolated facts and numbers. The best resistance is positive persistence. 9- Be positive: frame all issues from a progressive moral viewpoint. Take the viewpoint of the public good, not corporate profiteering. Take the viewpoint of the impoverished and weak, not the rich and powerful. Take the viewpoint of preservation, not the destruction of nature. 10 – Join the Citizens’ Communication Network: until it is officially functioning, you can unofficially join by following me on Facebook (https://www.facebook.com/George-Lakoff-Official-165643503477608/) and Twitter (@GeorgeLakoff) for regular thoughts and updates. The ALL NEW Don’t Think of an Elephant! and Moral Politics, 3rd edition. The American Majority got 2.8 million more votes in the 2016 election than the Loser President. That puts the majority in a position to change American political discourse and how Americans understand and think about politics. As a start, what is needed is a change of viewpoint. Here is a typical example. Minority President Trump has said that he intends to get rid of 75% of government regulations. What is a “regulation”? The term “regulation” is framed from the viewpoint of corporations and other businesses. From their viewpoint, “regulations” are limitations on their freedom to do whatever they want no matter who it harms. But from the public’s viewpoint, a regulation is a protection against harm done by unscrupulous corporations seeking to maximize profit at the cost of harm to the public. Imagine our minority President saying out loud that he intends to get rid of 75% of public protections. Imagine the press reporting that. Imagine the NY Times, or even the USA Today headline: Trump to Eliminate 75% of Public Protections. Imagine the media listing, day after day, the protections to be eliminated and the harms to be faced by the public. Congressional Republicans called for immediate elimination of regulations from the Food and Drug Administration, the Environmental Protection Agency, and the Security and Exchange Commission. What would be eliminated? Protections against cancerous poisons in foods, drugs untested for their safety, unsafe drinking water, air pollutants that get into your lungs and can’t get out, fraudulent stack sales, unscrupulous mortgages. That is what our president and Congress are proposing, hiding it behind the word “regulations.” Words have meanings with real effects. Imagine reporters finding out and reporting all over America exactly what protections would be removed. Imagine Republican officials, and media in their districts (including social media) swamped with calls, letters, emails, and tweets from voters protesting the removal of such protections, day after day. That is only one example of shifting the frame — the word and the meaning of the word — to a public viewpoint. When you hear Regulations are Protections for the Public, think of the details and the consequences. Go beyond the words. Act positively. A technique for learning how to think and what to say is taking the Public’s Viewpoint on every issue. Practice. What would increase the public’s wellbeing? Take the Public’s viewpoint instead of the corporate viewpoint. Shift the frame: always say “protections” instead of “regulations.” “Protections” is a more simple and accurate description. Remember that “regulations” represent the corporate viewpoint. It is not a neutral term, and it does not represent the public viewpoint. The Women’s Marches across America and the world were peaceful, family-oriented, and cooperative. They required energy and effort, along with the devotion to travel, gather, and march. The marches had a single, overwhelmingly positive focus: care. Care is the hallmark of what women give to their families day after day. Not that men don’t, but it is care that we rightfully associate with taking care of a family. The women who marched understood instinctively that America is their family and that the world is their community. America was founded on the idea that citizens care about their fellow citizens, that they contribute through their government to provide resources for the benefit and fulfillment of all. Democracy is more than voting. Democracy and citizenship require us to care about each other. Kamala Harris said it well: the issues were not about one constituency, because women’s rights are human rights. And women’s issues are all issues — from economy to ecology and from equality to fulfillment. Diversity is strength, and international cooperation is national security. Every issue voiced in the march was ultimately about care. • Trump first is to become America first. • Trump’s interests are to become America’s interests. America’s lack of empathy, America’s lack of care about others. It is the antithesis of care – and the antithesis of the most fundamental American values. The speech was carefully crafted to deceive, which is a nice way of saying that it was framed to sound like the opposite of his intentions, to make lies sound nice. It was also an excellent example of extreme conservative framing. The author of the speech, Stephen K. Bannon, is an expert propagandist. Every word and idea contained in the speech was chosen for a specific reason. The speech was centered on a single Big Lie: that Trump is a populist, a “messenger” of the popular will. Trump’s speechwriters laced the speech with populist rhetoric. They tried to position Trump as a man of the people who would lead the charge against wealthy elites who have amassed too much power. The speechwriters attacked the “establishment” and promised to remember the “forgotten” people. These parts of the speech sounded more like Bernie Sanders or Robert Reich than Donald Trump. It sounds nice until you remember who Trump really is: a businessman infamous for making money on bankruptcies, for ripping off small business people and refusing to pay workers on his projects. Trump is a billionaire who wants to lower wages for working Americans. His actions as President-elect revealed an agenda that is the exact opposite of returning power to the people. He’s filling his Cabinet with corporate establishment billionaires who have nothing in common with American families. After losing the majority vote by 3 million, the minority president is handing our government over to Wall Street. He’s chosen people who have always, and will always, serve corporate interests. For instance, Trump nominated Exxon CEO Rex Tillerson for Secretary of State. And he nominated Oklahoma Attorney General Scott Pruitt — who famously hates the EPA — to head the EPA. The aim is to use governmental authority to destroy all aspects of governmental care. What does Trump mean when he talks about “forgotten people”? He’s talking to his base. He’s talking to angry white males who felt uncomfortable in a country with a black President. He’s talking to people who want to blame immigrants, women, the LGBTQ community and people of color for everything they don’t like. If he can keep their anger focused on innocent people, it may take them a while to notice that Wall Street is (once again) pillaging our nation. Trump’s attempt to speak for “the people” also underscored his central anxiety: he lost the popular vote by an historic margin. He’s a loser — and, deep down, he knows it. To understand why Trump represents the antithesis of care, we need to understand the Strict Father view of the world. Trump is a textbook example of Strict Father Morality. In a Strict Father family the father is the ultimate authority. Father knows best. He gets his authority from the claim to know right from wrong, and what he says is by definition always right. His word is law and needs to be strictly enforced through strength — swift painful punishment. Even a show is disrespect deserves to be punished. There is a Strict Father logic: Discipline needs to be imposed. Children need to learn not to do what feels good (like “feel-good liberals”), but to do what they are told. If they do, they will become disciplined and go out into the world and become prosperous. What if they are not prosperous? That just shows that they are not disciplined, which means they cannot be moral, and so deserve their poverty. In short, the poor are poor because they’re lazy and so it’s their own fault. Responsibility is individual responsibility. There is no social responsibility. This logic is taken as a matter of nature. It imposes a natural ‘moral’ hierarchy, of who is better than whom. By nature, the winners have deserved to win. The hierarchy goes like this: God above man, man above nature (it’s there for us to plunder), the strong above the weak, the rich above the poor, employers above employees, adults above children, Western culture above nonwestern culture, America above other countries. Then the hierarchy extends naturally to: men above women, whites above nonwhites, Christians above non-Christians, straights above gays. All of the policies of the far right follow from this hierarchy. When taken to extreme, you get Trump’s worldview, the worldview of the ‘alt-right.’ There is a reason that Bannon is now in the White House. All of this is reflected in the details of the Inaugural Address. “I will never, ever let you down,” he said, describing a completely hierarchical world in which America always comes first, and where the “winning” will never stop. In this parallel universe, Strict Father Trump will give the orders, the good will be rewarded, the bad will be punished, and victory (and jobs) will grow on trees. No American company will dare create jobs in other countries because Father Trump has commanded them otherwise. Of course, this is a lie. Trump’s own trademark red hats are manufactured in China, Bangladesh and Vietnam. When it comes to putting “America First,” he has already betrayed the trust of his followers. There is no way he can keep the promises he’s made, and Trump supporters have already started to realize that he thinks nothing of breaking his word. Trump wants to be seen as a Strict Father, but he’s breaking the cardinal rules of the Strict Father: he is a betrayer of trust. A Strict Father cannot be a betrayer of trust. When Trump says to ordinary Americans that he’ll never let you down, here’s what he really means: I’m already letting you down. I will always let you down. But he means it literally when addressing rich conservatives. The most memorable phrase of his speech was “American Carnage,” which he blames on liberals and on government officials in previous administrations. He is using it both literally and metaphorically. Literally, it means, as Merriam-Webster lists, “great and usually bloody slaughter or injury (as in battle).” Its synonyms are “butchery,” “bloodbath,” “massacre,” “death,” “holocaust,” and “slaughter.” He is using it literally to frame gun deaths in big cities. Metaphorically, he is using it to blame liberals and Washington bureaucrats for the loss of jobs and income among white working people, for inadequate public education, for failing infrastructure. Of course, in his universe, none of this had anything to do with corporate greed or Republican policies over the years. But “carnage” is exactly what a large number of Americans fear will happen during Trump’s Presidency. That’s why millions of Americans have taken to the streets to make it clear they’ll stand up for democracy, freedom and civil rights. If we wish to prevent Trump’s visions of carnage, these marches must be the beginning of our movement, a movement centered on the politics of care. When citizens care about other citizens, and manage to use their government for public resources, America benefits because Americans benefit. Persistence is the best resistance — moving from the marches to the everyday politics of care on all levels. Communicate care. Teach care. Pressure your existing officials. Send emails. Make phone calls. Tweet. Elect officials who care at all levels. Run for office. Work in campaigns. Be positive. Positive. Fortunately, not all conservatives are total conservatives — by no means. Many are “moderate,” which means that they have some progressive views. Many conservatives show in-group care: care for their own church members, or military units, or community groups, or neighbors. When you talk with conservatives, as you should, find out where they express their care — what they are most proud of for helping others selflessly. And then keep talking with them about arenas where they are committed to a life of care. They are your fellow citizens after all. Two decades ago, in 1996, I published a book explaining how the various views of conservatives hung together. For example: What being against abortion has to do with owning guns, being against environmental regulation, being for the flat tax, etc. I did the corresponding analysis of liberal positions, showing that both have to do with opposite moral theories arising from opposite models of family life. The third edition of “Moral Politics” has now been published by the University of Chicago Press, and the 2016 election has resulted in brisk sales. The reason is that it explains the logic behind all of Trump’s policies — and his cabinet appointments. If you want to see the plan behind what Trump is doing, why people with certain moral values voted for him despite the lies, and how his views differ from yours, go to Amazon, Powell’s, or Diesel, and order Moral Politics, Third Edition. There is an inexpensive paperback. media networks to take matters into our own hands and begin to frame the debate with Progressive values. Thank you for reading. I would like to stay in communication with you as we enter this uncertain new era. I have faith that we can reclaim our future from Trump and his cronies, but we will have to start understanding how and why he became President — and what that means on all issues. Without knowing it, many Democrats, progressives and members of the news media help Donald Trump every day. The way they help him is simple: they spread his message. Think about it: every time Trump issues a mean tweet or utters a shocking statement, millions of people begin to obsess over his words. Reporters make it the top headline. Cable TV panels talk about it for hours. Horrified Democrats and progressives share the stories online, making sure to repeat the nastiest statements in order to refute them. While this response is understandable, it works in favor of Trump. When you repeat Trump, you help Trump. You do this by spreading his message wide and far. Nobody knows this better than Trump. Trump, as a media master, knows how to frame a debate. When he picks a fight, he does so deliberately. He tweets or says outrageous things, knowing they will be repeated millions and millions of times. When the news media and Democrats repeat Trump’s frames, they are strengthening those frames by ensuring that tens of millions of Americans hear them repeated over and over again. Quick: don’t think of an elephant. Now, what do you see? The bulkiness, the grayness, the trunkiness of an elephant. You can’t block the picture – the frame – from being accessed by your unconscious mind. As a professor of brain science, this is the first lesson I give my students. It’s also the title of my book on the science of framing political debates. The key lesson: when we negate a frame, we evoke the frame. When President Richard Nixon addressed the country during Watergate and used the phrase “I am not a crook,” he coupled his image with that of a crook. He established what he was denying by repeating his opponents’ message. This illustrates one of the most important principles of framing a debate: When arguing against the other side, don’t use their language because it evokes their frame and not the frame you seek to establish. Never repeat their charges! Instead, use your own words and values to reframe the conversation. When you repeat Trump, you help Trump. In the coming weeks and months, I’ll use this space to provide simple, practical advice on how Democrats, progressives and conscientious journalists can use the principles of effective framing to expose and undermine Trump’s propaganda. Knowledge is power! We must arm ourselves with the fundamentals of effective political communication. We must know our values and frame the debate – and avoid helping Trump. Hillary Clinton won the majority of votes in this year’s presidential election. The loser, for the majority of voters, will now be a minority president-elect. Don’t let anyone forget it. Keep referring to Trump as the minority president, Mr. Minority and the overall Loser. Constant repetition, with discussion in the media and over social media, questions the legitimacy of the minority president to ignore the values of the majority. The majority, at the very least, needs to keep its values in the public eye and view the minority president’s action through majority American values. The polls failed and the nation needs to know why. The pollsters and pundits have not given a satisfactory answer. I will argue that the nature of mind is not a mere technical issue for the cognitive and brain sciences, but that it had everything to do with the outcome of the 2016 election — and the failure of the pollsters, the media, and Democrats to predict it. They were not alone. The public needs to understand better how the human mind works in general — but especially in politics. There is a lot to know. Let us go step by step. As strange as it may sound, the sound symbolism of a name has become an unnamed central issue in the 2016 presidential campaign. As a cognitive linguist, my job is to study the issue and, at the very least, to name it. Perhaps the best-known discussion of naming occurs in Juliet’s soliloquy in Shakespeare’s Romeo and Juliet. Here is Juliet, proclaiming that all that divides her from Romeo are their family names. Shakespeare here was writing about love, not profit or politics. Donald Trump’s father changed the family name from Drumpf to Trump. It was a name change worth billions. Herr Drumpf understood the power of naming, as has his son, who renames his rivals: Lyin’ Ted, Little Mario, Crooked Hillary. Note: This is a follow-up to my previous piece, ‘Understanding Trump’. Please read that piece first. His unscripted speaking style, with its spasmodic, self-interrupting sentence structure, has increasingly come to overwhelm the human brains and tape recorders attempting to quote him. Trump is, simply put, a transcriptionist’s worst nightmare: severely unintelligible, and yet, incredibly important to understand. Given how dramatically recent polls have turned on his controversial public utterances, it is not hyperbolic to say that the very fate of the nation, indeed human civilization, appears destined to come down to one man’s application of the English language — and the public’s comprehension of it. It has turned the rote job of transcribing into a high-stakes calling. Trump’s crimes against clarity are multifarious: He often speaks in long, run-on sentences, with frequent asides. He pauses after subordinate clauses. He frequently quotes people saying things that aren’t actual quotes. And he repeats words and phrases, sometimes with slight variations, in the same sentence. Some in the media (Washington Post, Salon, Slate, Think Progress, etc.) have called Trump’s speeches “word salad.” Some commentators have even attributed his language use to “early Alzheimer’s,” citing “erratic behavior” and “little regards for social conventions.” I don’t believe it. There is a lot being written and spoken about Trump by intelligent and articulate commentators whose insights I respect. But as a longtime researcher in cognitive science and linguistics, I bring a perspective from these sciences to an understanding of the Trump phenomenon. This perspective is hardly unknown. More than half a million people have read my books, and Google Scholar reports that scholars writing in scholarly journals have cited my works well over 100,000 times. Yet you will probably not read what I have to say in the NY Times, nor hear it from your favorite political commentators. You will also not hear it from Democratic candidates or party strategists. There are reasons, and we will discuss them later I this piece. I am writing it because I think it is right and it is needed, even though it comes from the cognitive and brain sciences, not from the normal political sources. I think it is imperative to bring these considerations into public political discourse. But it cannot be done in a 650-word op-ed. My apologies. It is untweetable. I will begin with an updated version of an earlier piece on who is supporting Trump and why — and why policy details are irrelevant to them. I then move to a section on how Trump uses your brain against you. I finish up discussing how Democratic campaigns could do better, and why they need to do better if we are to avert a Trump presidency. Donald Trump is winning Republican presidential primaries at such a great rate that he seems likely to become the next Republican presidential nominee and perhaps the next president. Democrats have little understanding of why he is winning — and winning handily, and even many Republicans don’t see him as a Republican and are trying to stop him, but don’t know how. There are various theories: People are angry and he speaks to their anger. People don’t think much of Congress and want a non-politician. Both may be true. But why? What are the details? And Why Trump? Many people are mystified. He seems to have come out of nowhere. His positions on issues don’t fit a common mold. He likes Planned Parenthood, Social Security, and Medicare, which are not standard Republican positions. Republicans hate eminent domain (the taking of private property by the government) and love the Trans-Pacific Partnership (the TPP trade deal), but he has the opposite views on both. He is not religious and scorns religious practices, yet the Evangelicals (that is, the white Evangelicals) love him. He thinks health insurance and pharmaceutical companies, as well as military contractors, are making too much profit and wants to change that. He insults major voting groups, e.g., Latinos, when most Republicans are trying to court them. He wants to deport 11 million immigrants without papers and thinks he can. He wants to stop all Muslims from entering the country. What is going on? The answer requires a bit of background not discussed in the media to date. More on George Lakoff’s New Book! Learn more about The ALL NEW Don’t Think of an Elephant HERE. Daily Kos Article: Democratic Strategies Lost Big. Here’s an alternative. It is time to shine a light on the strategies used by Democrats, and on the Democratic infrastructure that uses those strategies. Democratic strategists have been segmenting the electorate and seeking individual self-interest-based issues in each electoral block. The strategists also keep suggesting a move to right. This has left no room for the Democrats to have an overriding authentic moral identity that Americans can recognize. Those strategists form an infrastructure that all Democrats have come to depend on; not just the candidates, but also the elected officials, Democrats in government, and citizens who either do, or might, find progressive policies morally and practically right. The strategic infrastructure includes PR firms, pollsters, consultants, researchers, trainers, communication specialists, speechwriters, and their funders. It is an important and powerful infrastructure and we all depend on it. I believe it is vital to separate this infrastructure from the strategies it has been using. I believe the strategies can be greatly improved so as to give a true, deep, and moral picture of what progressive politics is about — one whose content and authenticity will resonate with, and inspire, a majority of Americans. The following is a Truthout interview with Professor George Lakoff about his latest effort, THE ALL NEW Don’t Think of an Elephant!, to convince progressives to “frame” their political language and appeals based on deep-seated and active values. These are positions and actions that most of the public supports, but absent appropriate “framing” often vote their fears instead of progressive beliefs. It is necessary to ground a nurturing politics for the common good and core values in language and a moral foundation that appeals – rhetorically and emotionally – to the better selves of voters. Mark Karlin: Before we get into the new edition of Don’t Think of an Elephant!, THE ALL NEW Don’t Think of an Elephant!, I wanted to ask you a bit more about something you said to me in a conversation at your home awhile back. You noted that it’s not surprising that Republicans are more persuasive than Democrats because they are more skilled at selling and marketing. Does this also relate to the prevalence of consumer advertising in the US that convinces people to buy things that they don’t need or want? George Lakoff: The marketing profession uses knowledge about the mind, the brain, language, imagery, emotions, the framing of experiences and products, personal and social identity, and normal modes of thought that lead to action and that change brains over time. Marketing professors in business schools study results in these areas and teach courses on how to market most effectively. Again, they study normal modes of thought – the way people really reason. It would be strange to call such modes of thought “irrational” since they are the forms of reason that we have evolved to get us through life. Democratic Strategies Lost Big. Here’s Why and How to Fix It. It is time to shine a light on the perpetually losing strategies used by Democrats, and particularly on the Democratic infrastructure that promotes those strategies. I am asking whether the old strategies can be separated from the community of strategists, so that new strategies can be adopted by that community that are authentic, moral, and fully general. The strategists form an infrastructure that all Democrats have come to depend on—candidates, elected officials, Democrats in government, and citizens who align, or might align, either morally or practically with progressive policies. This well-funded, and well-connected strategic infrastructure includes public relations firms, pollsters, consultants, researchers, trainers, communication specialists, speechwriters, and their funders. Democrats depend on this expensive infrastructure. The strategists seem to assume that their strategies are natural and obvious, the best that can be done. It is time to look closely at these strategies and question them. The same mistakes, if they are mistakes, should not be repeated. 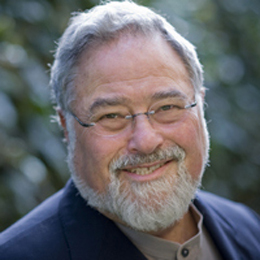 George Lakoff is Richard and Rhoda Goldman Distinguished Professor of Cognitive Science and Linguistics at the University of California at Berkeley, where he has taught since 1972.